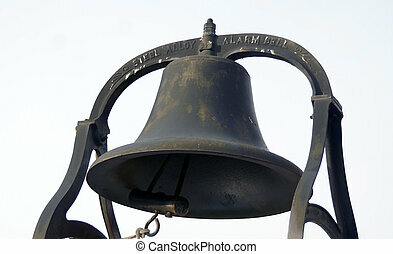 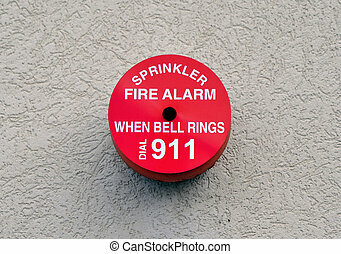 Red fire alarm bell ringer. 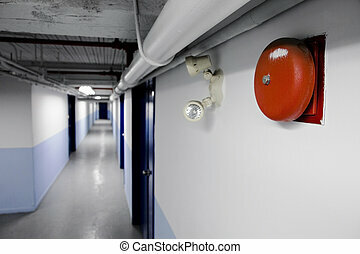 Fire Bell Alarm (red) with emergency light too in a long blue corridor. 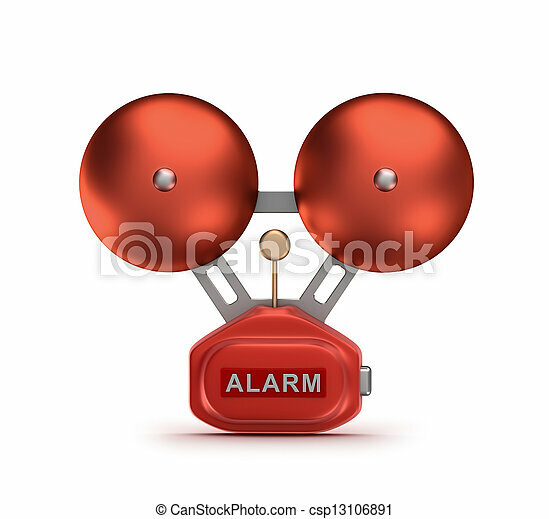 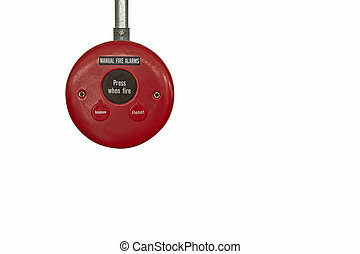 Red fire alarm bell isolated over white background. 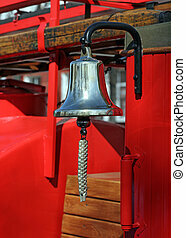 Metal alarm bell on red fire truck. 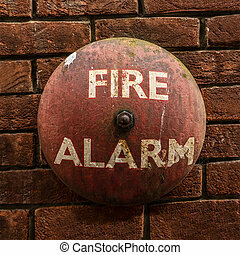 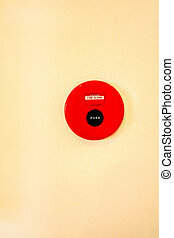 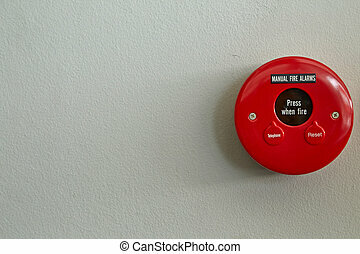 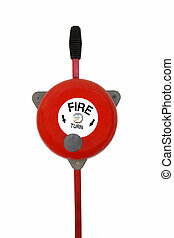 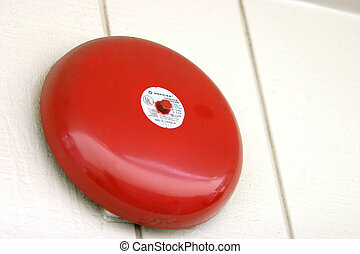 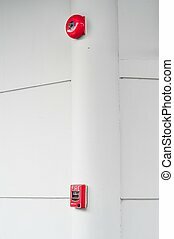 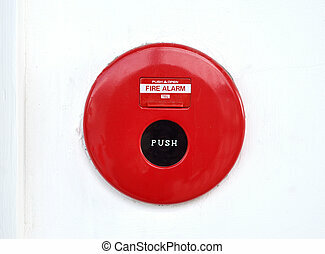 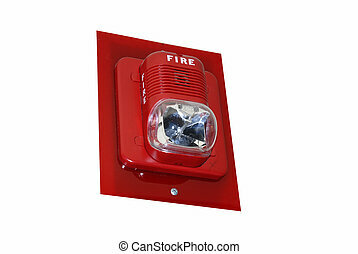 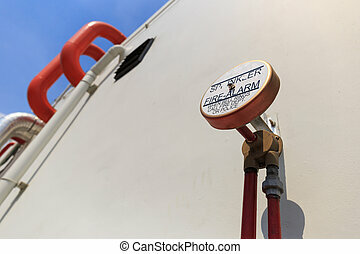 red circular fire alarm on a beige colored wall.